SEO is basically a term used which determines whether your posts will show up when somebody types in a certain keyword or search term into a search engine. Without a good SEO, your posts just will not show up in Google which isn't great if you actually want people to read your posts. When people are typing things into Google, it means they want to read articles, websites, blogs etc which will help them or interest them. Therefore, if your post is on the first page or two of Google, people are most likely going to click on it! Basically, Google tries to show the best results for what the user has typed in. So, to do this Google looks for posts that have the most relevant keywords, best rank, keywords in the title and many other things. 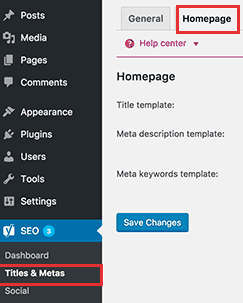 ♡ Add a Meta Description for your Blog and Posts. 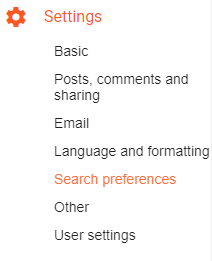 If you want to add a description to your posts then it will show up in your Post Settings in Search Description when you next write a post on Blogger. Internal and External links are both so important if you want to improve your SEO. Your Internal links can be links to your previous posts and External links can be links to other relevant sites. Just make sure you include them because they can massively improve your SEO. It's important that your blog loads quicker than about 4 seconds. This is because people are more likely to click off a site if it takes forever to load up. So, in order to improve Site Speed, I'd recommend using a faster host, compressing your images and switch off any plugins you no longer use. Because smart-phones are becoming more and more popular, Google are starting to penalize sites that aren't mobile friendly. So, if you're using a theme then ensure it is mobile friendly before you purchase it. 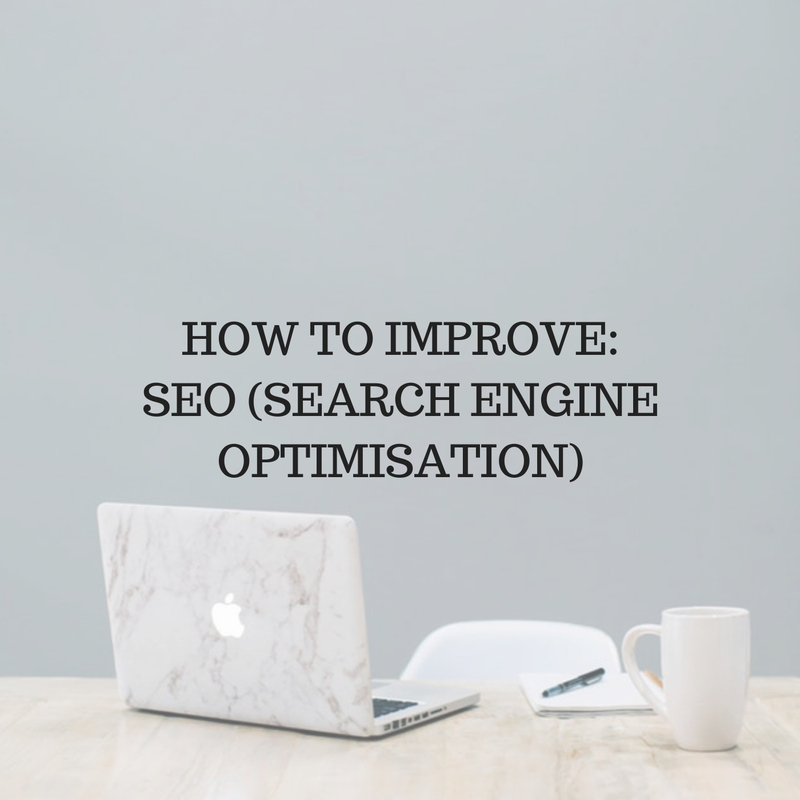 So, there's all my tips and tricks to improve your Blogs SEO. If you have any questions then leave a comment below and I'll answer it as best as I can. This was genuinely helpful - thank you!! These are really handy tips! I didn't know it helped by switching off plugins which you don't use so I'm off to do that now! Just these steps would suffice? Seems very interesting and I'll definitely work on this. The 'big' keywords are not everything. It is better to be on the first page for a few smaller keywords, than try to rank for bigger keywords and not be on the first page at all. For example, an accountancy business in Preston may not rank for the highly competitive keyword 'accountant' (unless they have a lot of SEO budget and time to wait for rankings); but the same business could conceivably rank highly for the keyword 'chartered accountant Preston'. How in the world do I get backlinks? Don't you just feel like screaming that sometimes? Me too! Trust flow blog commentsis a simple concept and yet an extremely frustrating thing to do when your new to the internet and as you go further down the rabbit hole. Have you ever felt the more you learn about something the less you feel you know about the subject? Let's be real, It's a little confusing, when you have so many competing voices as to an effective way to build your backlinks. Create a strong relationship between you and your SEO provider by meeting in person, to ensure a strong result from your campaign. Great tips! Definitely going to start putting these into practice, especially adding lots of links as I continue my blogging journey. (I have just launched). SEO Service Many homework on the continual hunt along with offstage on the road to winning. Definitely not attached, simple to-fall as a result of wayside; And not investigation, afterward into a path travel toward the black. Nowadays almost every business is present on the internet and if you truly want to get good results in terms of organic ranking, then you should be utilizing a smart SEO strategy that is based on only the white hat techniques. Personally, I have hired the best seo consulting Los Angeles and very satisfied with their work. Really helpful post. Inspiring and knowledgeable. Thank you.